Show Off Display create stands for businesses to exhibit their work. The attention to detail and creativity that goes into designing these beautiful stands needed to be reflected on their website. We chose a WordPress theme that had a lot of image options for creating portfolio displays of their previous works, yet would be easy to create new project pieces that keep a consistent look and feel. The size and detail of the stands is a real selling point, so shots from multiple angles show the complexity and skill of the work involved. 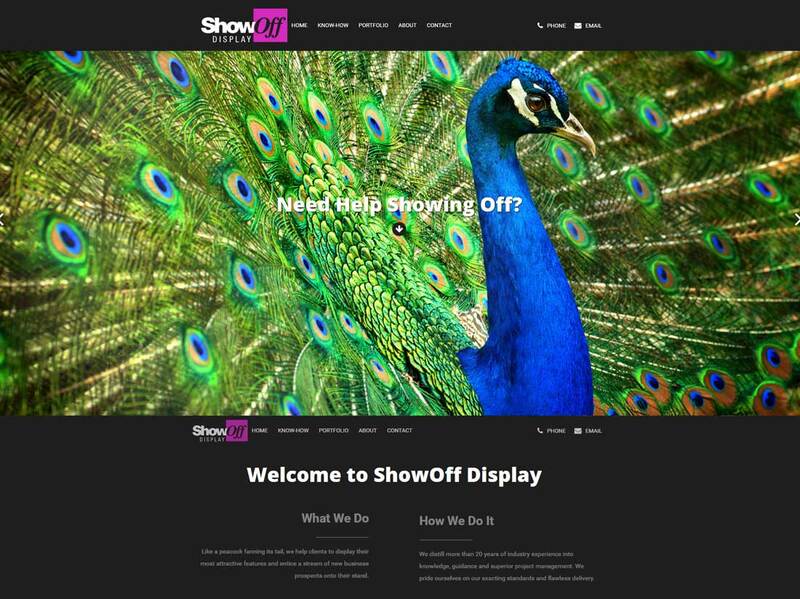 The old Show Off site was not responsive for different screen sizes, so we made sure that all design features retain their effectiveness regardless of whether it is being viewed on mobile, tablet or desktop.